Fight for the Future organized protests in nearly 50 cities, as well as at FBI headquarters in Washington, DC. 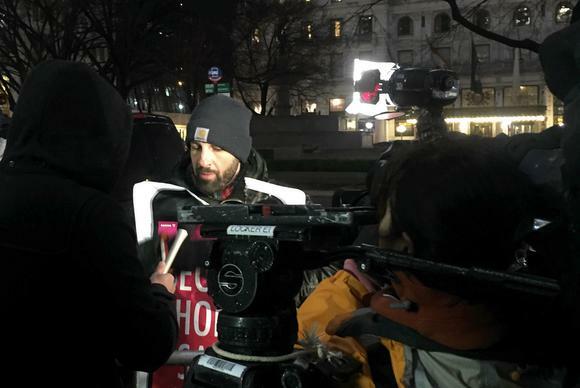 There were more press than protesters at Apple’s flagship store on Fifth Avenue in New York, but that might be due to the typically terrible February weather. 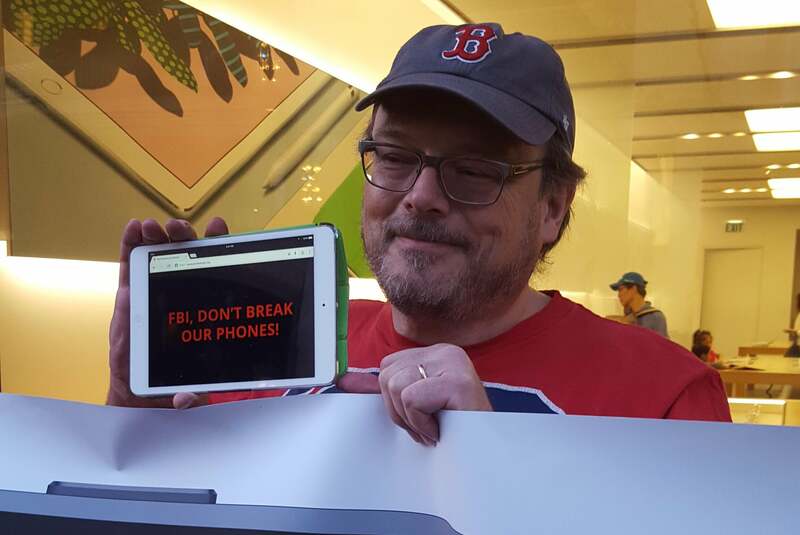 People who attended the rally carried giant signs with slogans like, “Don’t Break Our Phones.” Across the country, similar rallies took place to support Apple’s refusal to help the FBI get into the San Bernardino shooter’s iPhone 5c. 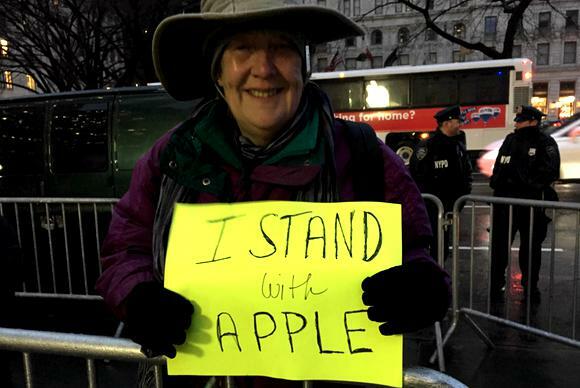 Anne Marie Rossi from Bloomfield, New Jersey, took the train into Manhattan despite the biting cold, wind, and rain to show her support for Apple. Rossi has never protested before, but said she wanted to participate in Tuesday’s rally for Apple because, as an iPhone owner, she admires the company’s defense of privacy. 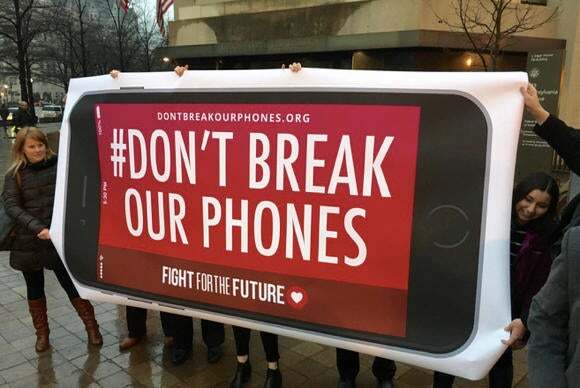 Many protestors held up their iPhones to display messages from ProtestSign.org. 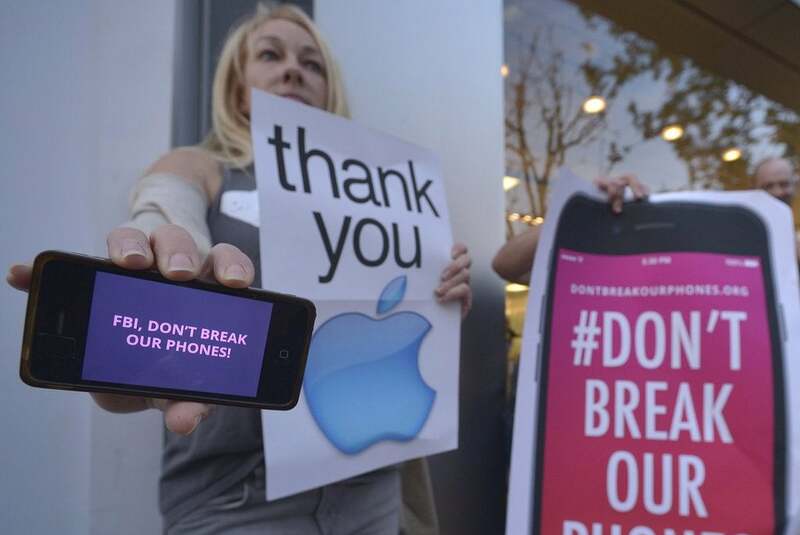 This protest took place outside the Apple Store at The Grove, a shopping center in Los Angeles. 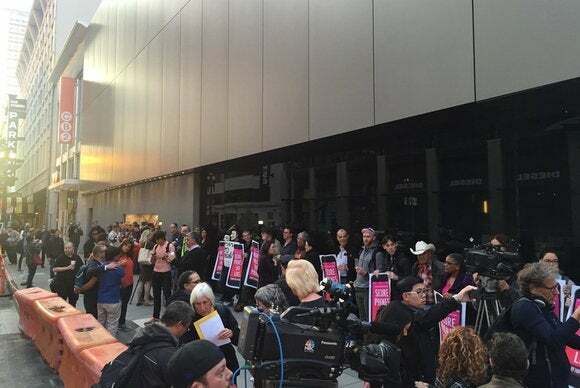 The road outside the Stockton Street Apple Store in San Francisco has been torn up for months, as crews work to install a new subway line. 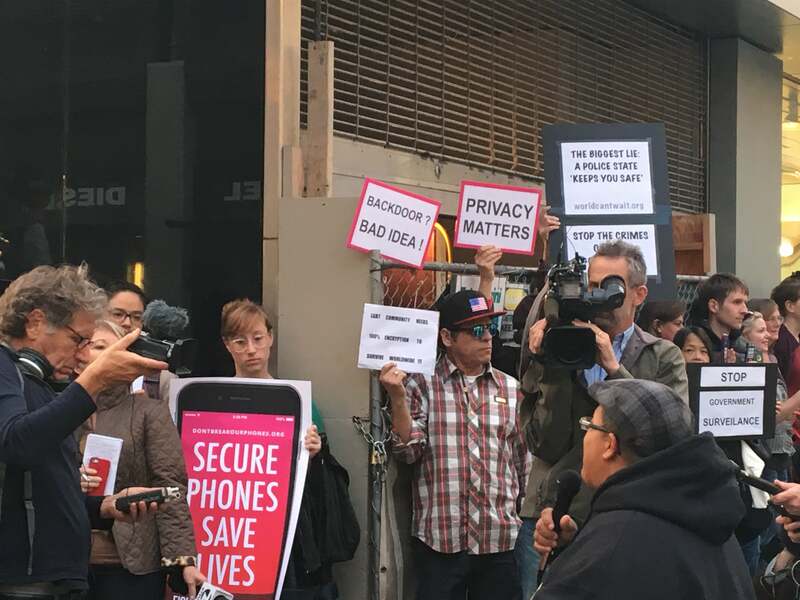 And on Tuesday, the sidewalk was choked with protestors and reporters who’d come to interview them. 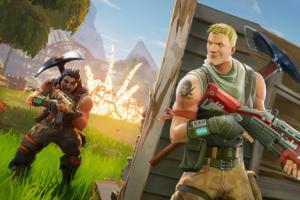 “People are rallying at Apple stores because giving the government easier access to our data, also gives everyone else, including terrorists, thieves and stalkers, easier access to our data—making all of us less safe, not more safe,” said Evan Greer, campaign director of Fight for the Future, in a statement. 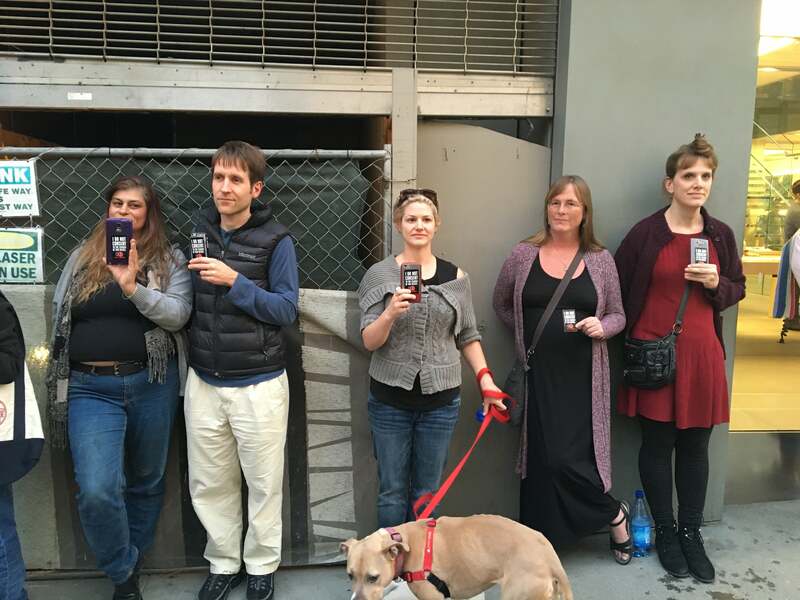 The San Francisco gathering had almost as many members of the press as protesters. 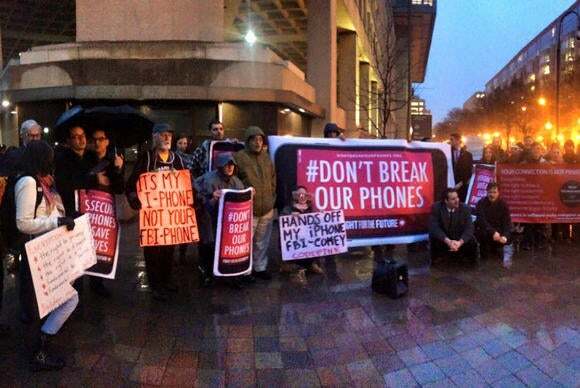 Protesters gathered outside the FBI’s headquarters in Washington, DC. 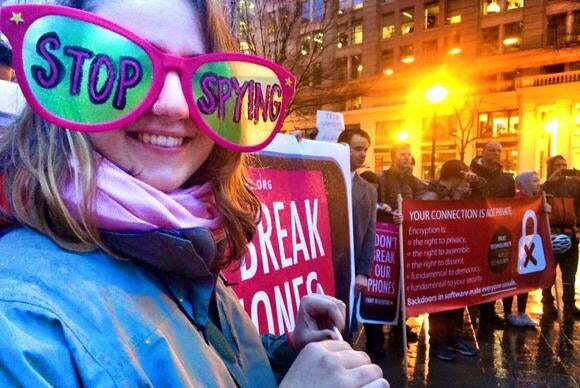 A supporter of Code Pink joins the protest in Washington, DC, outside the FBI. Apple and the government continue to trade barbs in the media, leading up to the first hearing in court, scheduled for March 22 in Riverside, California.